Canada Place (web site, 780-999 Canada Place, Vancouver, (604) 775-7200) is Vancouver’s trade and convention centre, located on the waterfront in Vancouver’s downtown business district. Home of the very fancy Pan Pacific Hotel (which is where many celebrities and hockey players stay while they are in town), Canada Place is well known as a Vancouver landmark for its rooftop sails. 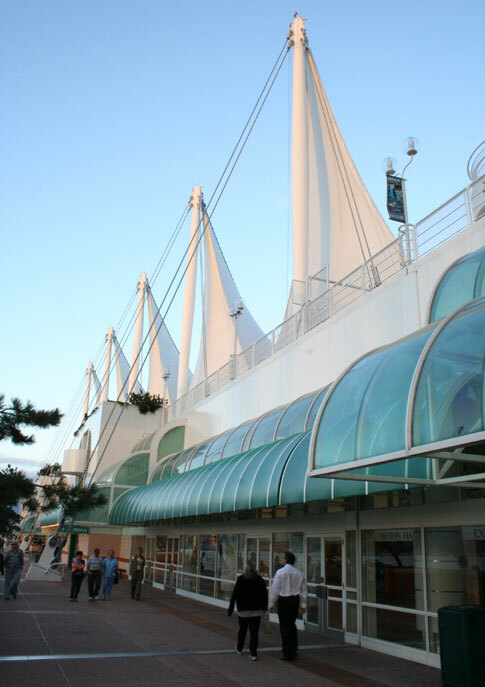 The same building contains Vancouver’s cruise ship terminal and attractions such as the CN Imax Theatre, food court, and fine restaurants. 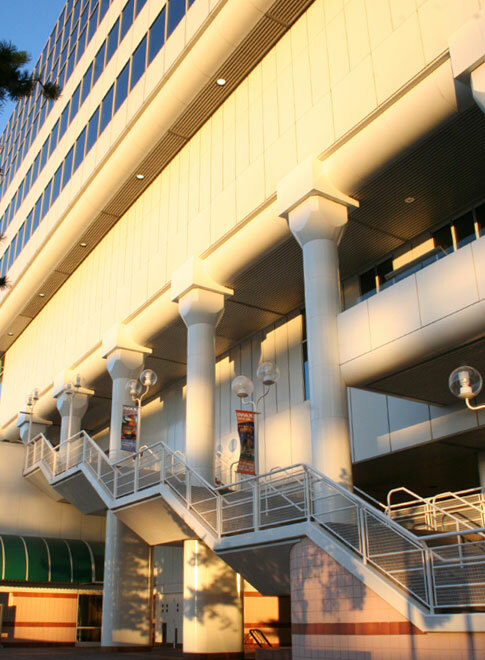 The modern architecture of the building (pictured below) is worth a visit in itself. 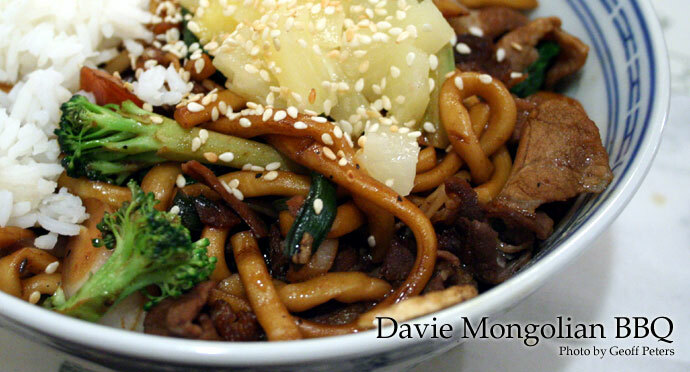 The Davie Mongolian BBQ (1161 Davie Street, Vancouver, phone 604-669-4545) is an affordable, all-you-can eat version of the Mongolian BBQ on Broadway. Fill up a bowl with your choice of thinly sliced meat, tofu, vegetables, and a plethora of sauces, and watch as the chef quickly cooks your selections on a massive, round metal grill, and then scoops your meal with a flourish into a clean waiting bowl. If you’re so inclined, add some garnish of sweet pineapple or sesame seeds (pictured below). For dinner, you can eat as many bowls as you like, for a low price of $10.99, which also includes rice and salad. What a great deal! Thai Away Home (web site, 1206 Davie Street, 604-682-8424) is a casual, fast-food style Thai restaurant located in the heart of Vancouver’s downtown Davie Street district. Davie Street is great for people-watching while eating in at this restaurant, or enjoy take-out at home. 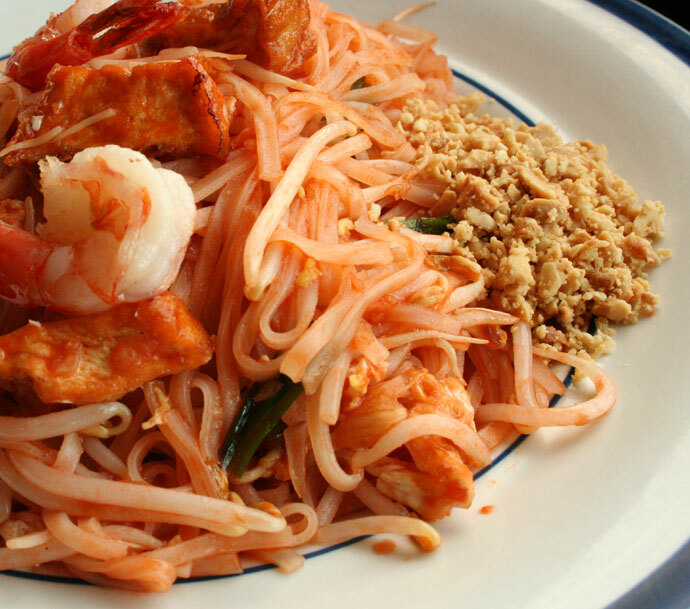 My favorite is their Pad-Thai, which is fried noodles with tofu, bean sprouts, eggs and prawns (pictured below, $8.95). You are currently browsing the Dine Out Here Vancouver weblog archives for July, 2007.